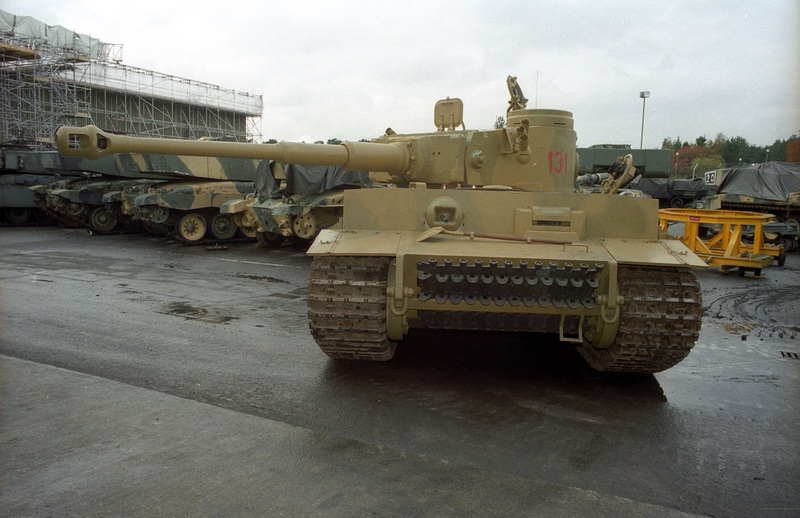 In Part VIII of the story of Tiger 131’s restoration, the Tiger ‘s restoration nears completion. 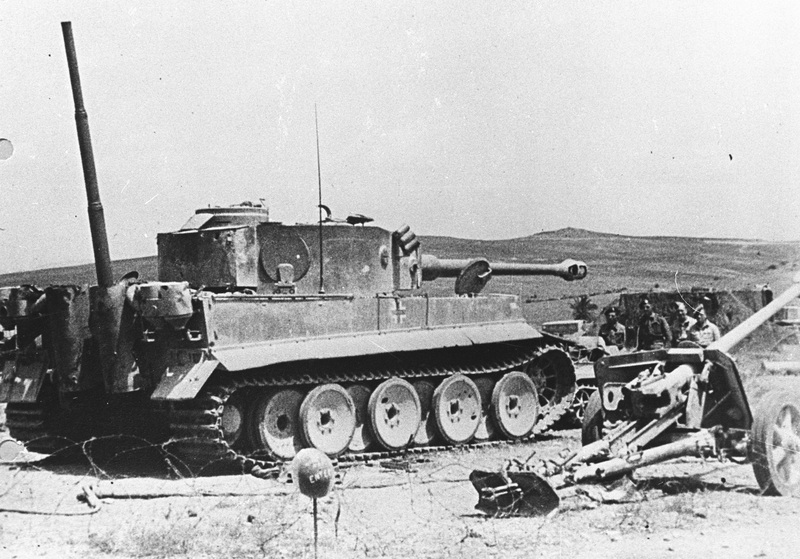 When the captured Tiger returned to Britain, and after it had toured the country and undergone various tests, it was put aside for display. One part of this involved the removal of the original Maybach HL210P45 engine which was sectioned for separate display. One result of this is unfortunate; the original engine cannot be used in the tank. On the other hand it does make an interesting display in its own right. Since parts of it were examined during the restoration process the opportunity was taken to clean it up, and this is the result. As you can see it is displayed on its side. This is particularly effective when it is viewed from below. Note in particular the close tolerances for a V-12 engine but above all the superb workmanship. 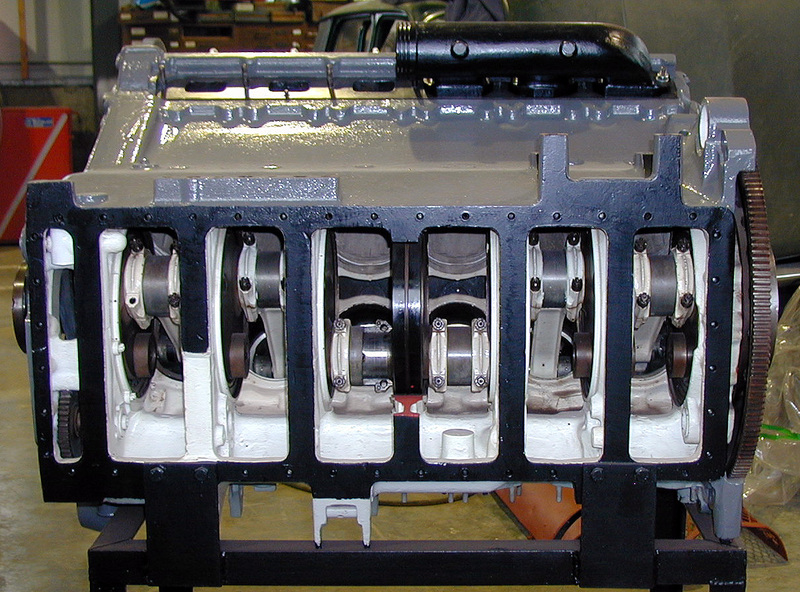 The sectioned HL210 engine, seen from below. 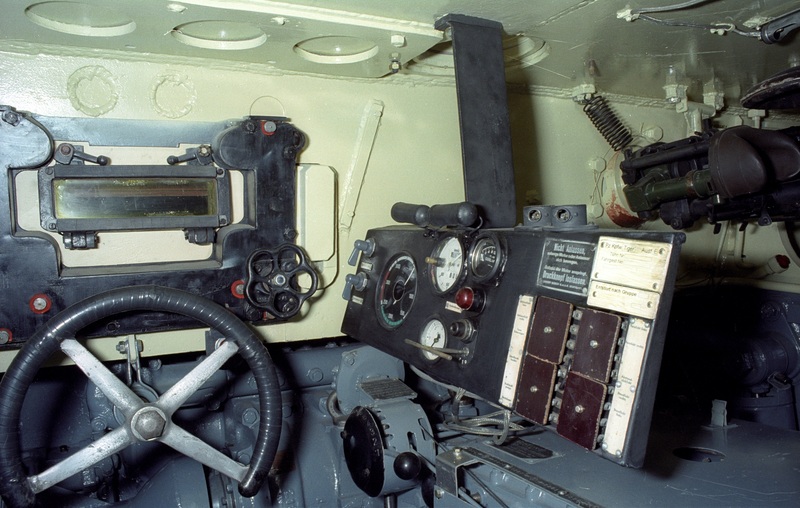 One feature of the Tiger that we have not looked at before is the driver’s instrument panel. Anyone who saw it before restoration started will be amazed at the quality of work done by the staff at ABRO. From a bent piece of tin with holes in it we now have a complete and fully functioning set of instruments. The steering wheel is obvious and to the right, just below the instrument panel, is the gear selector control. The two tubular objects just above the panel are lights, controlled by the switch extreme left, top. Directly beneath that is a dip or dimmer switch. 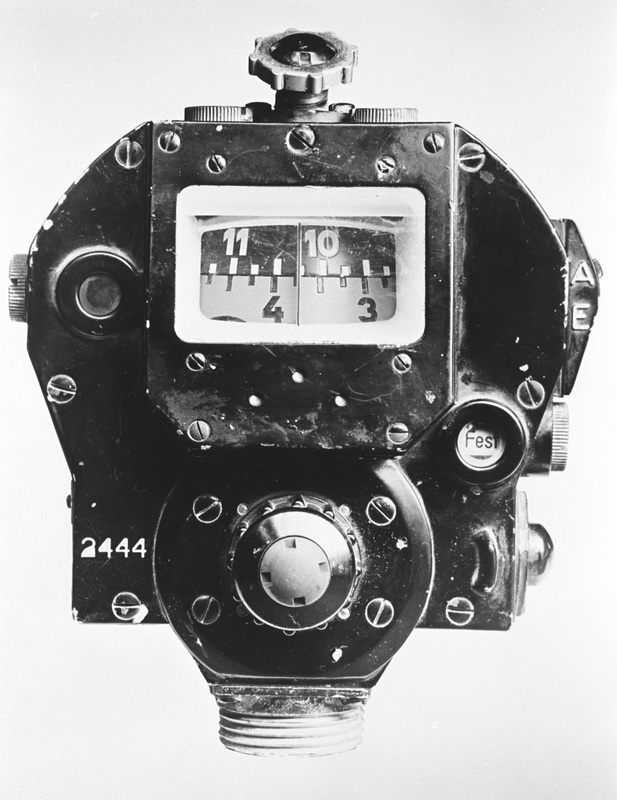 The large dial is the revolution counter. To the right of that, top, is the speedometer and odometer combined and below that the oil pressure dial. The final dial indicates coolant temperature and beneath that is the ignition switch and light. The panels on the right are the fuse boxes and the studs on top are plug-in electric sockets. The Tiger rolls out again, hauled into the sunlight by a Challenger ARRV. Is this the start of the final stage in the restoration project? The hull is going back to ABRO to have the engine fitted but, in order to save space and give visitors something to look at, the turret is staying behind. So, the task is to remove the turret. This involves two Fodens, a big fork-lift truck and the CRARRV. First the turret is raised and when it is clear the CRARRV pulls the hull clear from underneath. 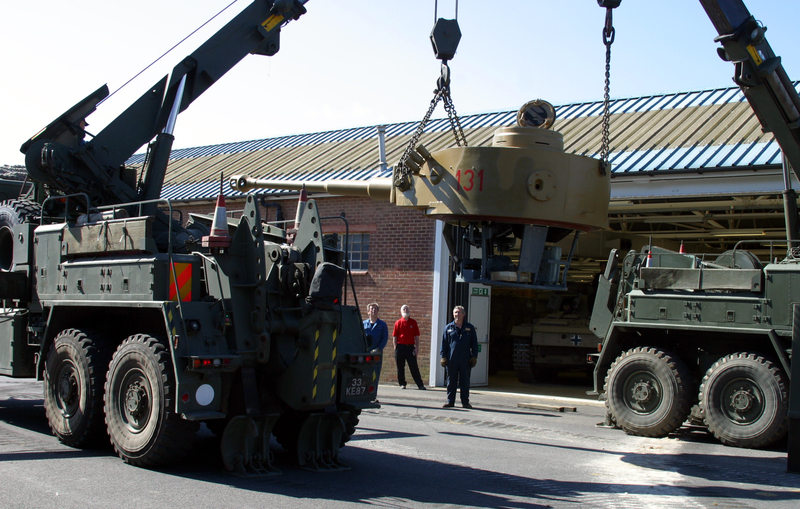 Next the fork-lift gets ready to insert the turret stand, the turret is lowered and then moved back into the Museum. 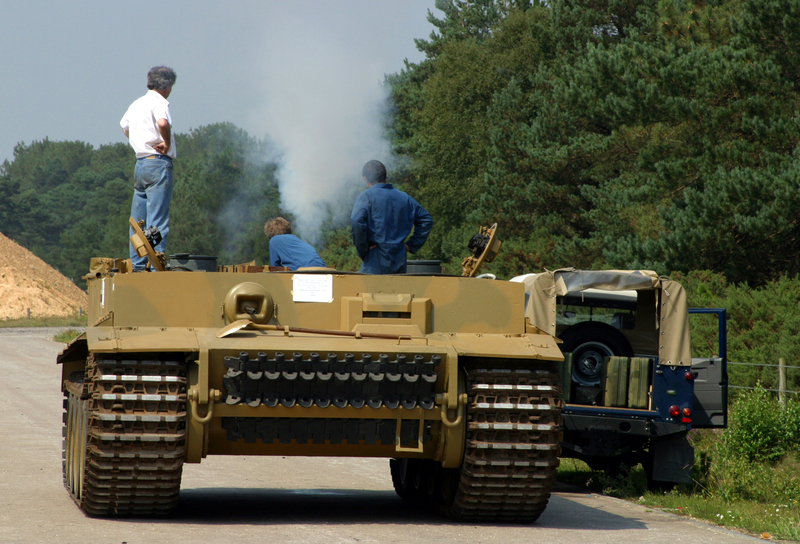 So, if you visit The Tank Museum over the next few weeks (July 2003) that is what you will see. There is no timetable for the engine fit, it is a tricky job that must be done with great care. However, if it succeeds there is a chance that when we next see the complete tank it will be running! So, keep your fingers crossed. 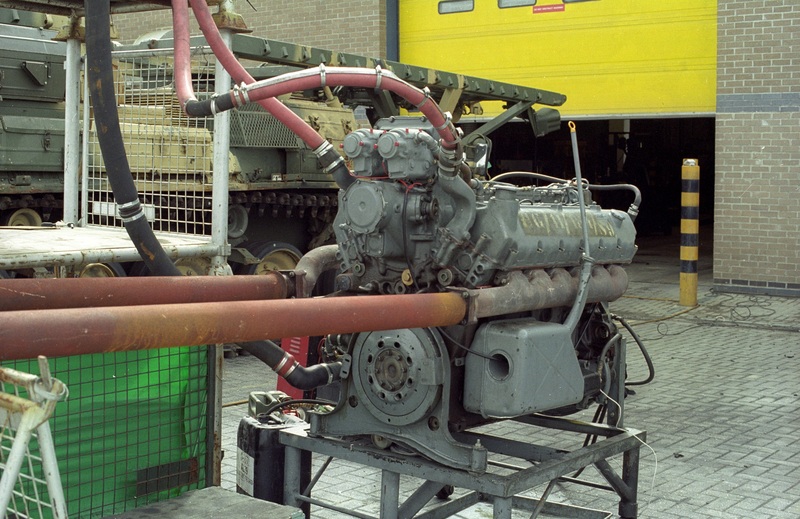 Tests of the rebuilt engine took place in July 2003. Using the same improvised rig as before it was given a thorough test and reports suggest that all is well. 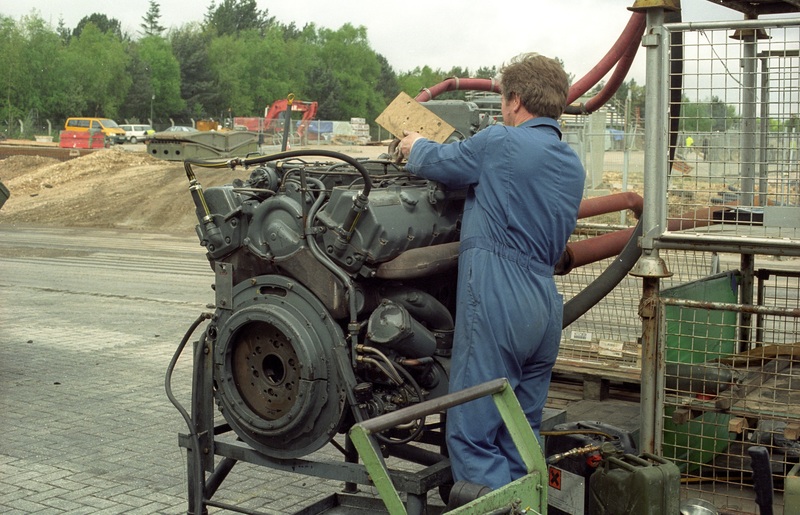 The photo shows Ron preparing the engine for its first test. As already mentioned, since the original engine was sectioned for investigation during the war we have had to use a Maybach HL230 series V12, which would not normally have been found in an early Tiger such as ours. The first unit suffered severe damage but has now been rebuilt, at ABRO Bovington, using a spare block that was on display. This unit seems to be functioning well and it has been inspected by an engineer on behalf of the Heritage Lottery Fund. If everything goes according to plan there should be some good news in time for the October 2003 report. They blew a gasket. Ah well, whoever said it was going to be easy? While we wait for news from ABRO on the restoration progress I thought we might take a look at one of the more unusual fittings that has survived in Tiger 131. This is a directional gyroscope; more commonly but misleading called a gyro-compass. 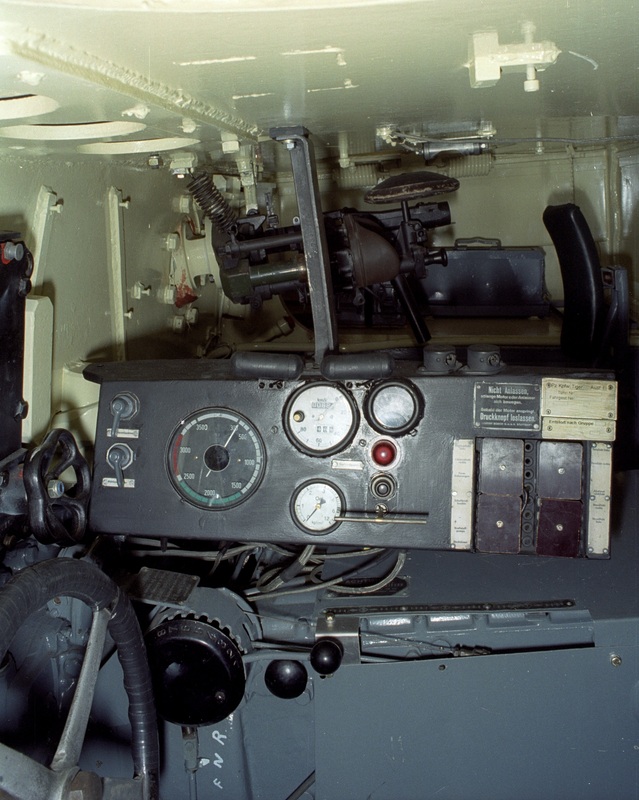 It is not a compass because it does not indicate north but once set, with the aid of a magnetic compass and with an electrically powered gyroscope to keep it on station it will give the driver a reading on a pre-set bearing. That these exotic items were not restricted to heavy tanks such as the Tiger is illustrated by this view of one installed in a Panzer III. 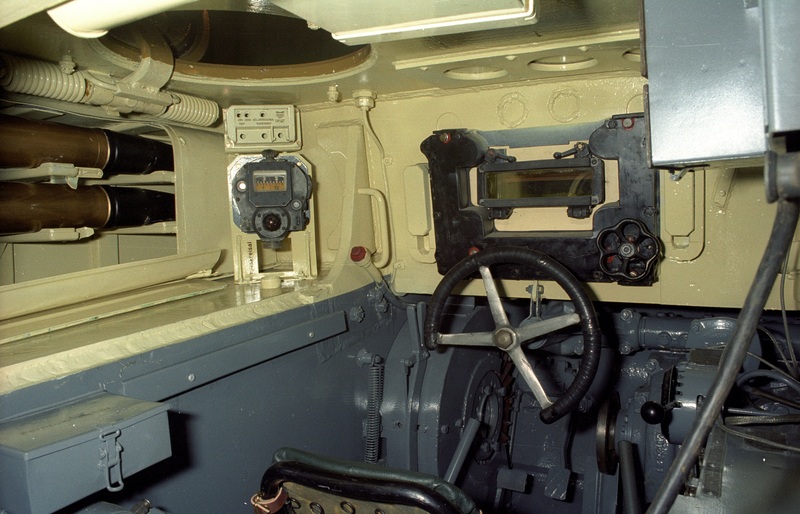 In fact they were available for most German AFVs that had the mounting and electrical connection. 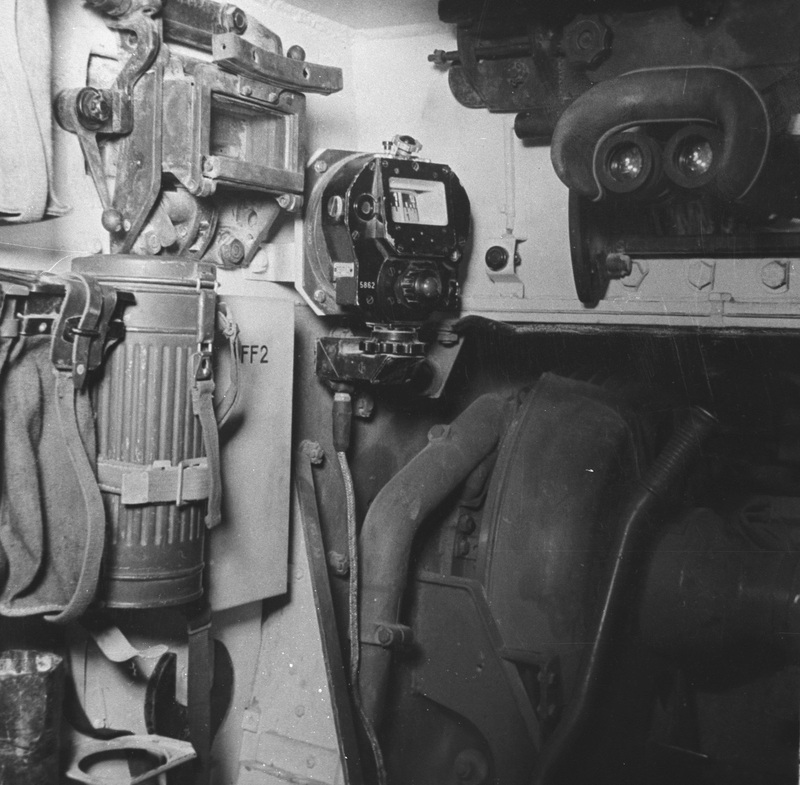 Here is the installation in Tiger 131, lacking the electrical connection as you see. It is on the sponson just to the left of the driver but in his line of sight. Ignore the fitting above the gyro, it is part of the modern fire-suppression system. There is one item missing from Tiger 131 that we will not be able to replace or fabricate. This is the telescopic tube, stowed in the rear of the engine compartment that was used for submerged driving. It was certainly there when the tank was displayed after capture in 1943. But somewhere along the way it was lost. 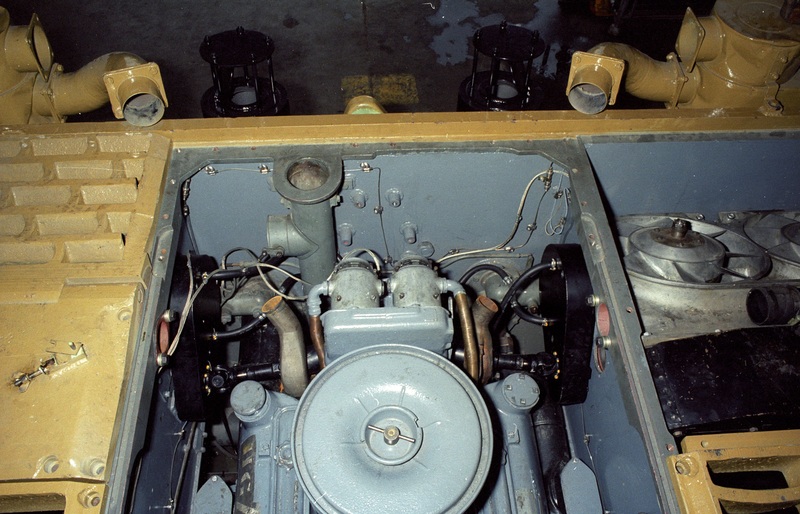 The tube in which it was stowed is still there, however and can be seen in this overhead view that also shows the engine and rearranged fan drives. One interesting point that does not appear to have been studied in any detail concerns the location of this tube. 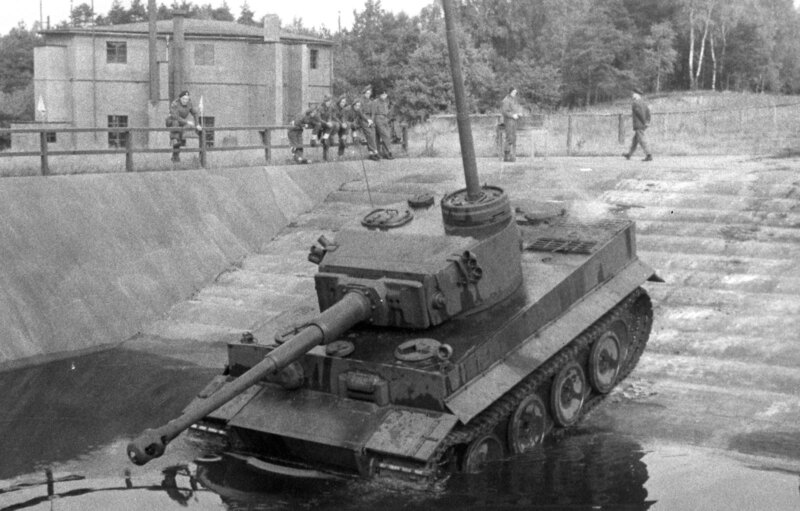 All other views, including a prototype, have the tube at the rear but in this case, a demonstration for British troops in the huge wading tank at Haustenbeck in 1945, the schnorkel tube is located on the commander’s cupola. Was this a later development? Finally, as we reach the fiftieth page in this Journal (December 2003) we have the very best news. 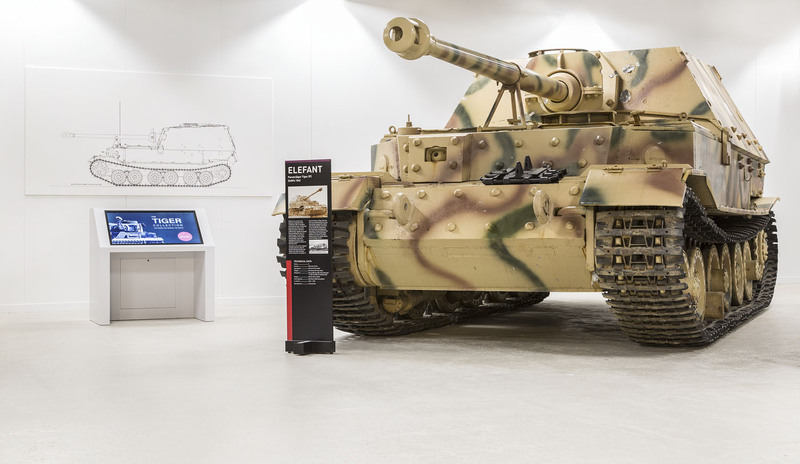 Following an inspection by an engineer on behalf of the Heritage Lottery Fund, the Tiger was declared complete in all respects. Two very happy men; Dave Marsh and Ron Luke (right) who have seen this difficult project through from start to finish photographed after the test run that proved the success of all their hard work. 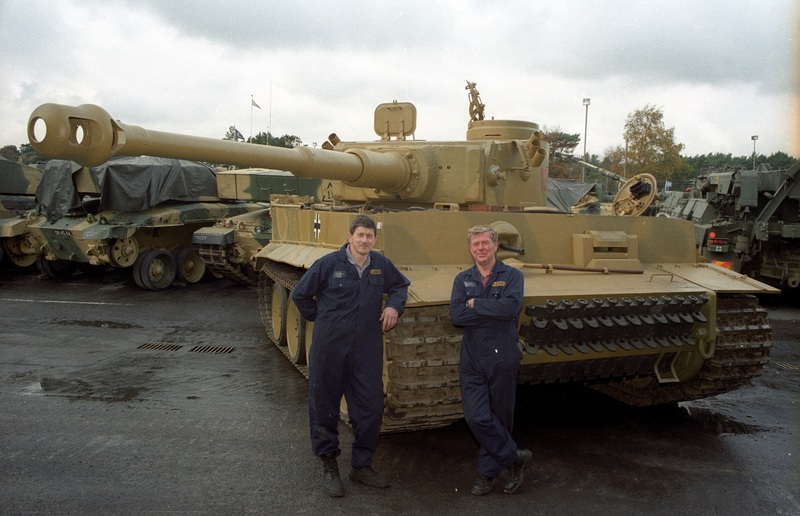 To save wear and tear the Tiger was towed down to the Tank Museum by a Challenger Armoured Repair and Recovery Vehicle. Everyone remarked on how small the German tank looked when up close to the modern monster. Here it is at the Army Base Repair Organisation (ABRO) where it was rebuilt, waiting for the tow. Back at the Tank Museum the Maybach V-12 was fired up once again and, on its own tracks and under its own power the sixty-year-old tank, looking as good as new, trundled slowly back to its place of honour in the museum. This post, from December 2003, was the last to be published on the original site. 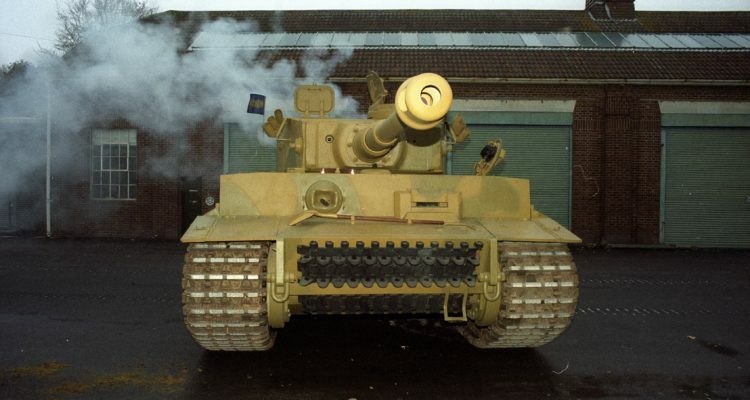 However it wasn’t the end of Tiger 131’s restoration. This rest of this series will bring the story up to date.